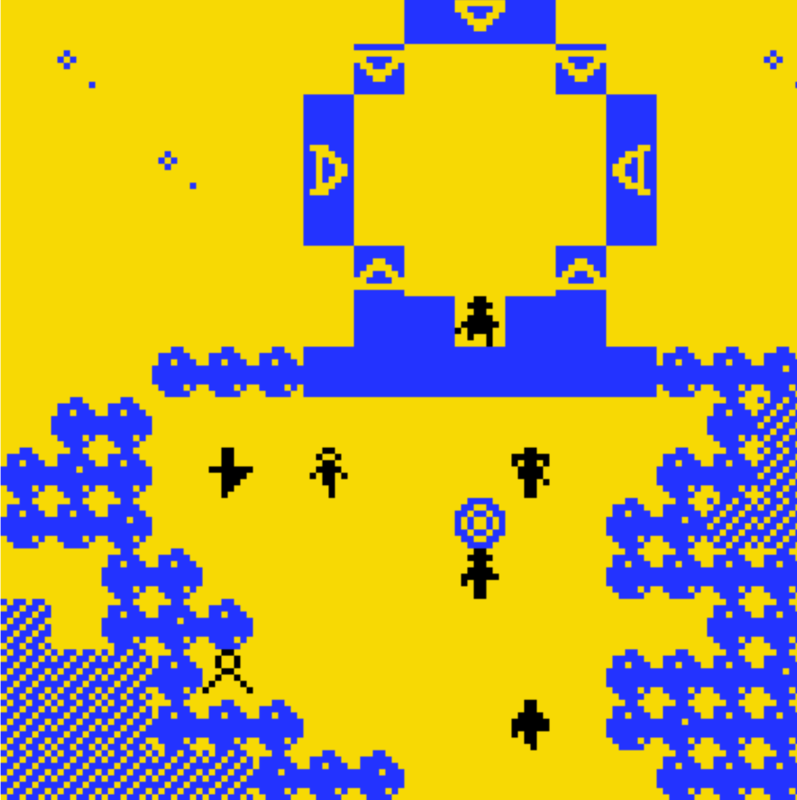 Made in a few days using bitsy. A short adventure game with multiple endings. Explore, collect objects, and talk to people. Ultimately get back home. Amusingly, I didn't realize that you couldn't make endings based on conditionals until fairly late. Maybe you can, but I didn't figure out how to use the hacks. Either way, I had fun. Thank you for playing! It was for a game jam, and I ended up realizing in the last hours I couldn't do what I needed to and ran out of time. So there are a few things that could be improved upon. The upper room, kinda works like the climbing the pillars one, but you have to fly up to it from the previous room and jump over Vala. The environment isn't designed well enough to indicate where, there is a star in the sky that's close to the path. There's 4 endings. There are two options in one room. I'll think about your comments for the next one. It was fun to make a little fanfiction.